Simon Sharp is a teenager in New York. He's alone, desperate and making all the wrong choices. When a mysterious girl shows up and tells him he's the heir to a Knight of the Round Table, Simon's life changes overnight. But is it for the better? Simon Sharp lost his parents to a plane crash two years ago. Now, it’s his fourteenth birthday and the only gift he wants is a place to belong. Unfortunately, he’s made a lot of bad decisions since the accident. Running away from halfway houses. Lashing out at people who care about him. And, worst of all, doing small jobs for a petty thief. Every payday makes the memory of his parents fade a little more. So when a girl in a colorful cloak shows up and tells Simon that he’s in danger and that he’s the heir to Lancelot, King Arthur’s most powerful knight, Simon assumes it’s a joke. But a drunk troll, a 7-foot man who calls himself Merlin and a hidden castle called New Camelot change his mind. 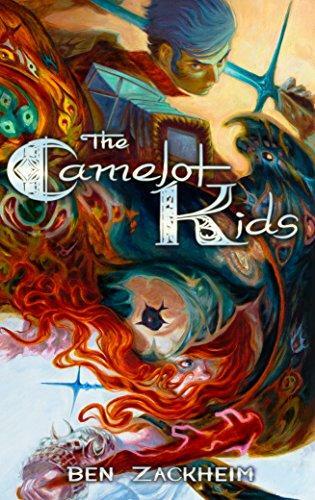 Now, training as a knight with 149 other descendants of King Arthur’s Knights of the Round Table, Simon finds himself part of a prophecy that promises the salvation of the world. But only through its destruction. 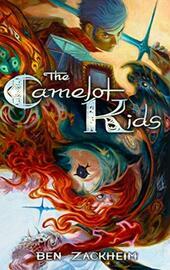 The Camelot Kids can be found on all of the following Amazon genres!